Todd is the most typical of American men. 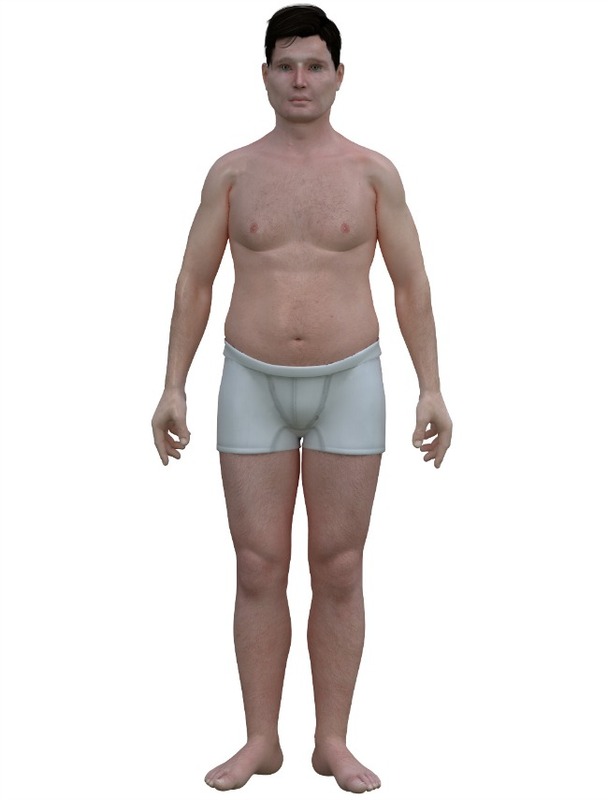 His proportions are based on averages from CDC anthropometric data. As a U.S. male age 30 to 39, his body mass index (BMI) is 29; just one shy of the medical definition of obese. At five-feet-nine-inches tall, his waist is 39 inches. Don't let the hyperrealistic toes fool you; Todd is an avatar. I gave Todd his name, and gave his life a narrative arc, but he is actually the child of graphic artist Nickolay Lamm as part of his Body Measurement Project. Todd would prefer perfection—or at least something superlative, even if it's bad—to being average. But Todd is perfect only in being average. With this perfection comes the privilege of radical singularity, which is visible in his eyes. Though in his face this reads lonesome, Todd does have three international guyfriends. They met at a convention for people with perfectly average bodies, where each won the award for most average body in their respective country: U.S., Japan, Netherlands, and France. The others' BMIs, based on data from each country's national health centers, are 23.7, 25.2, and 25.6. I named them all Todd, actually, even though it could be confusing, because not everyone's name is a testament to their cultural heritage. This is how Lamm made the Todds. It's also what zombie Todds look like. And here are Todds from the right. Most people look better from their left, but Lamm rendered the Todds from their right, just because he can. To these men, Nickolay is God. 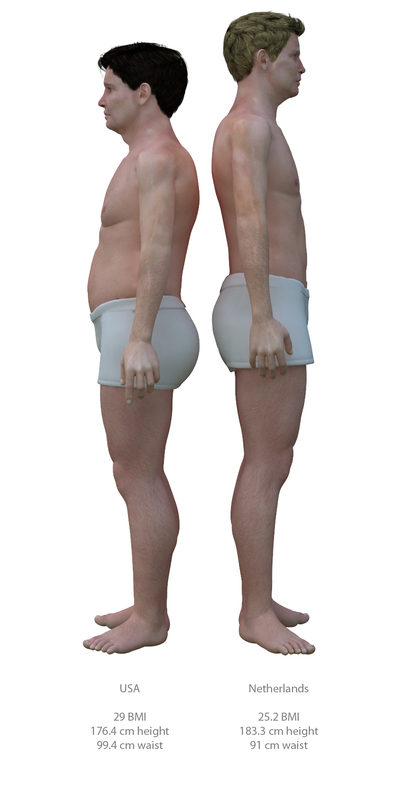 Avatars of various ethnicities are important, because obesity depends on culture and genetics. 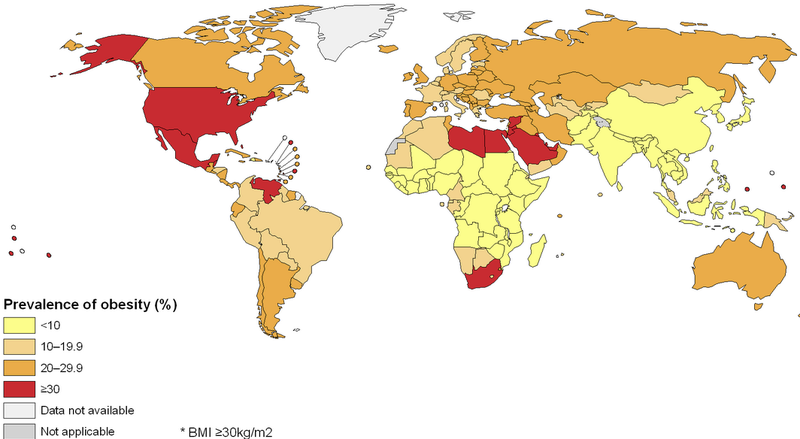 The weight of everyone's destiny may be equal, but some countries are fat, and others are not. The World Health Organization cares about that, because understanding the differences should help to explicate causes. So does history. Fifty years ago, American Todd would not have been round. The trend is not unique to men, either; Lamm just chose to work with white male renderings. 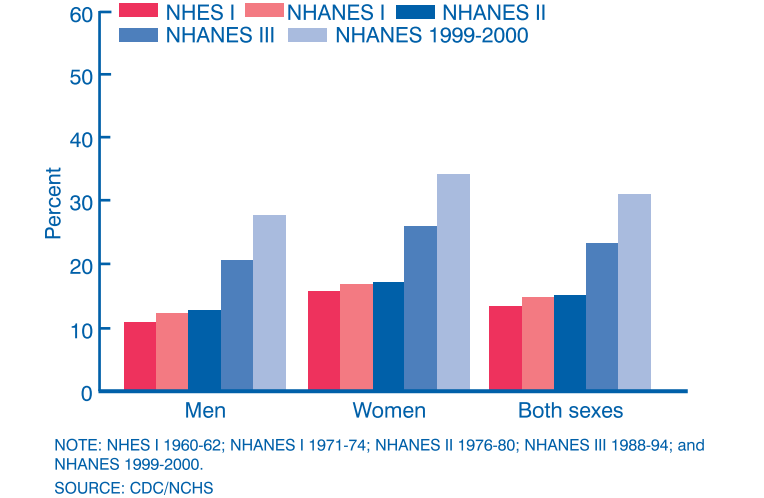 The same CDC data puts the female BMI in this age group at 28.7. Americans are also losing ground in height. For most of two centuries, until 60 years ago, the U.S. population was the tallest in the world. Now the average American man is three inches shorter than the Dutch man, who averages six feet. Japanese averages are also gaining on Americans'. Anthropologists tie these recent changes primarily to diet and lifestyle, as we've turned habitable wilderness into excess. 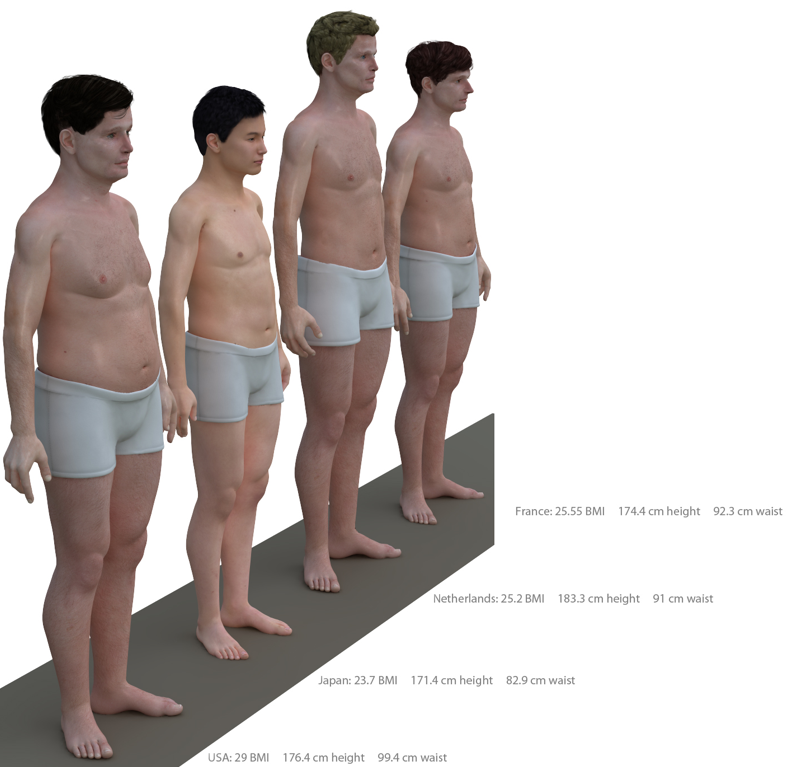 George Maat, a professor emeritus of anthropology at Leiden University Medical Center in the Netherlands, has said that within another 50 years, the Dutch Todd could be six-foot-three. Several years ago the Netherlands was compelled to increase building code standards for door frames. If in the last half-century the American physical form has been expelled from international imagination as an ideal, we might presently look at the situation not just as failure, but with optimism for what we might become.